My father’s first of many New York stories took place exactly eighty years ago, on July 2, 1933. He had arrived in the city the day before from Havana aboard the ill-fated Morro Castle with his father, his oldest sister Rosa Marina (22 years old and known as Mara), and one of his younger brothers, Rubén. My father was thirteen and Rubén was twelve. It was the boys’ first visit to the U.S.
July 2nd, a Sunday, they all found themselves in great seats at the Polo Grounds to watch a doubleheader between the Giants and the St. Louis Cardinals. 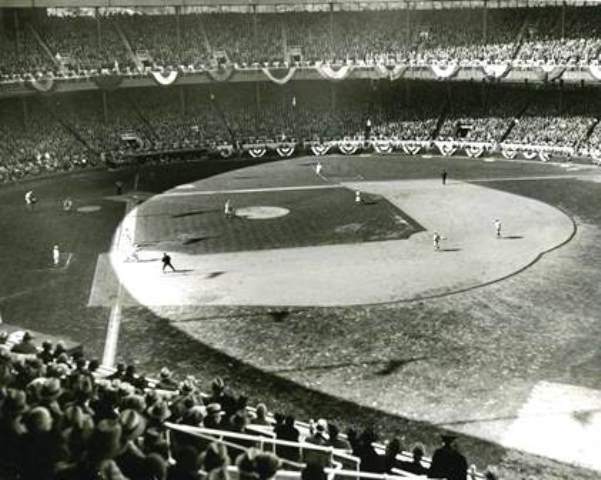 The scene made quite an impression on my father: it was the Fourth of July weekend and the stadium was festooned with red, white, and blue banners, with a capacity crowd of some 50,000 cheering on the Giants. It was exactly what he expected the U.S. to look like. 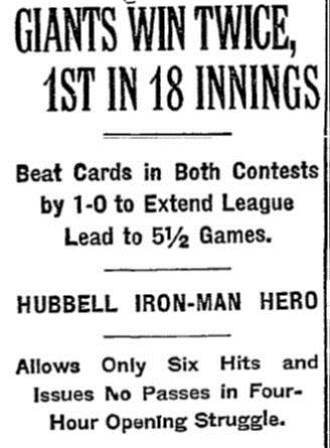 The first game lasted 18 innings, with Carl Hubbell accomplishing the incredible feat of pitching the entire game, allowing the Cardinals only six hits, no walks, and pitching twelve of the innings perfectly. The Giants won, 1-0. 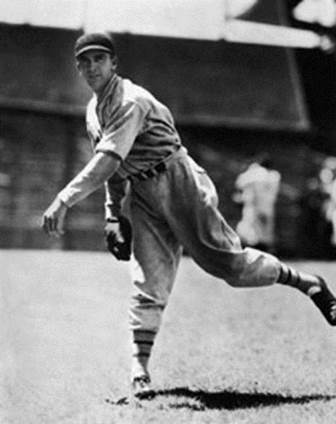 They also won the second game by the same score (Dizzy Dean pitched for the Cardinals), but my father did not get to see it. 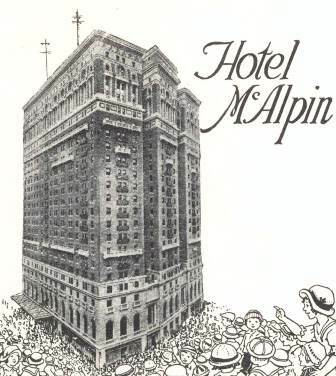 My grandfather stood up at the end of the marathon first game and announced he had seen enough baseball for one day and they all left for their hotel, the McAlpin, near Herald Square. The purpose of that summer trip was to drop off my father and Rubén in Long Island, where they were to start their U.S. education. My grandfather Lisandro, after whom both my father and I were named, was an orphan from central Cuba who had done very well financially by building a successful leaf tobacco exporting business. By 1933 he was already 62 years old and at the height of his business career as the exclusive Cuban exporter for the General Cigar Company in New York. He had just built a spacious home in Havana’s Vedado neighborhood for his wife and ten children, of which my father was the oldest son. 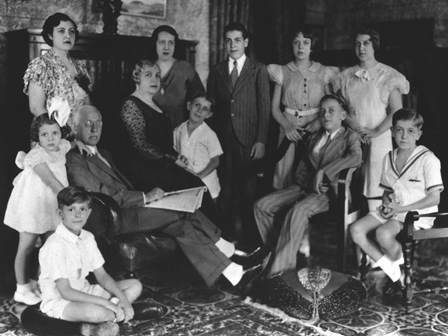 Lisandro and Amparo Pérez and their 10 children, ca. 1930. My father is seated at right in the business suit, Rubén standing in the center, and my aunt Mara, the oldest, behind my grandfather. Despite having a nun for a daughter (my aunt Raquel), my grandfather did not want his sons educated in a traditional Catholic school for boys in Havana. Perhaps because he knew absolutely no English, he was determined to have his children learn the language and the ways of the people in New York with whom had done business for decades. 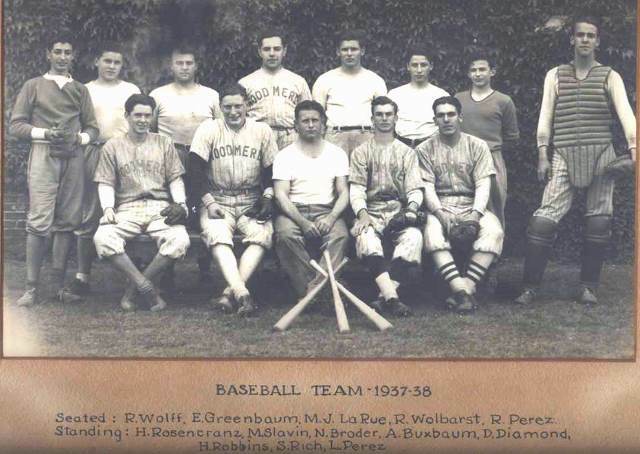 The location of the school could not have been other than New York, since my grandfather relied on the connections of the President of General Cigar, Bernhard Meyer, who offered the corporate box at the Polo Grounds for the doubleheader. 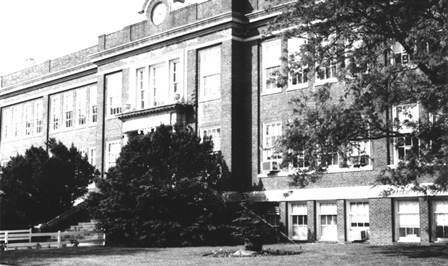 One of Mr. Meyer’s children, Max, attended Woodmere Academy in Long Island, and so Mr. Meyer arranged for my father and uncle to not only enroll there, but also to be boarded at the home of the school’s director, Mr. Mitchell Perry. And so it was that my father and Rubén, and eventually two of their younger brothers, spent five years studying at a predominantly Jewish prep school, living in a Protestant household, learning flawless English, and accumulating a trove of experiences and anecdotes centered in New York. That’s how I grew up hearing about Sundays in the Polo Grounds or in Yankee Stadium, of the beauty of Penn Station and the majesty of the Empire State Building, of weekend rides on the Long Island Railroad, the misery of having to eat beets, cauliflower, and rhubarb pie, but also of the charms of a coed school and especially of one Peggy Cohen. After the boys had been dropped off at the Perry home, my grandfather and aunt returned to the McAlpin for the night. The following day they boarded a ship back to Havana. My father once told me that many years later his sister Mara recounted to him how that night at the McAlpin she had heard my grandfather weeping in the adjoining room, something she had never heard him do. One can only imagine how important it must have been for him to have his sons educated in the U.S., even at the heavy emotional cost of leaving them at such young ages with strangers in a foreign country. Senior year at Woodmere. My father the catcher at right and Rubén seated at far right. After graduating from Woodmere in 1938, my father and Rubén returned to Havana permanently to work in the family business. My father told me that there was a time when he regretted having spent his high school years in the U.S. When he returned to Cuba he had no network of peers he could count on to facilitate business connections, something so important in a society that so highly values interpersonal relations. But in 1960, when my father felt compelled to leave Cuba with his wife and two young sons and start over at age 40, the English that he mastered in New York, and his familiarity with the U.S., came in very handy. The old man, he once told me, referring to his father, knew what he was doing.